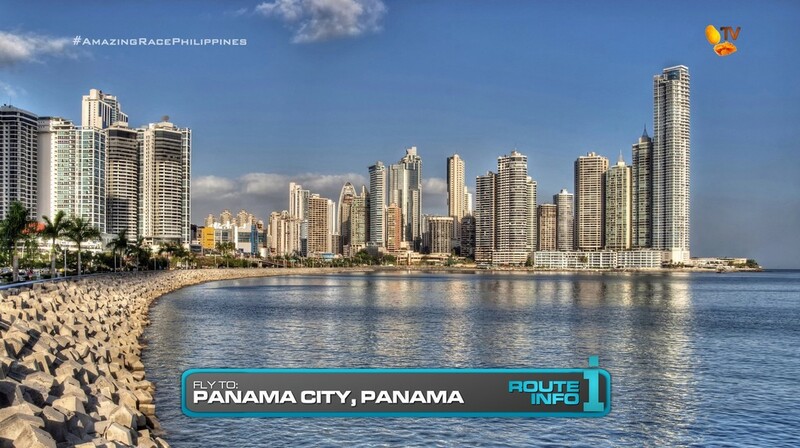 The 4th Leg begins with teams needing to secure tickets from Dallas to Panama City, Panama. Teams will end up on one of two flights: The first via Las Vegas on American and United arrives in Panama at 8:05am. The second via Los Angeles on Virgin America and United arrives at 8:20am. 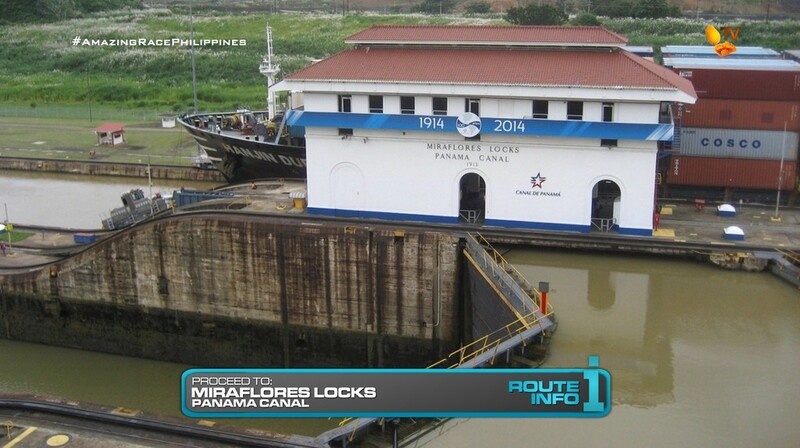 Once in Panama City, teams must take a taxi to the Miraflores Locks for their next clue. That clue directs teams to Pier 12 at the Panama Canal. And here, teams will find an Interesection. 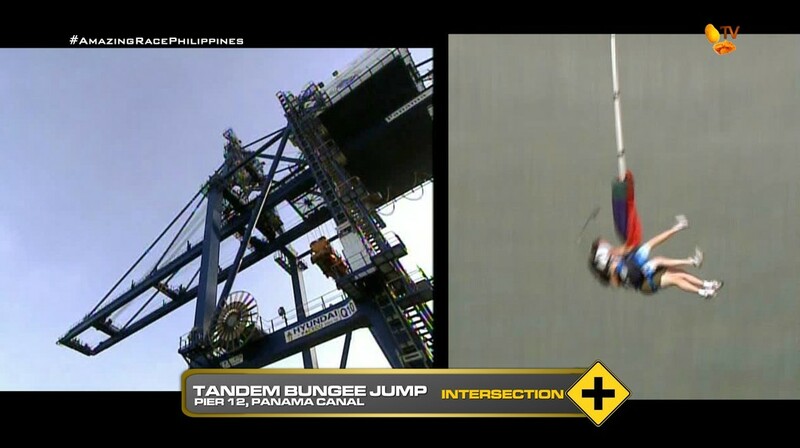 For this Intersection, teams will bungee jump 140 feet above sea level. But! 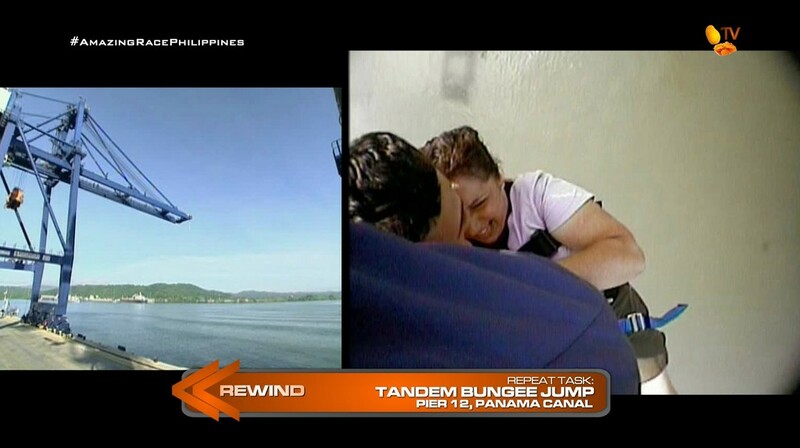 One member from each team must pair up with a member of their co-Intersected team to perform the tandem jump. After the Intersection, teams must check-in at the Rewind board. Still Intersected, teams will decide which team they would like to Rewind, if they choose to use it. The two teams will only choose one team to place on the Rewind board. But whichever team that team is Intersected with will also need to repeat the bungee jump. After checking-in at the Rewind board, teams are no longer Intersected. 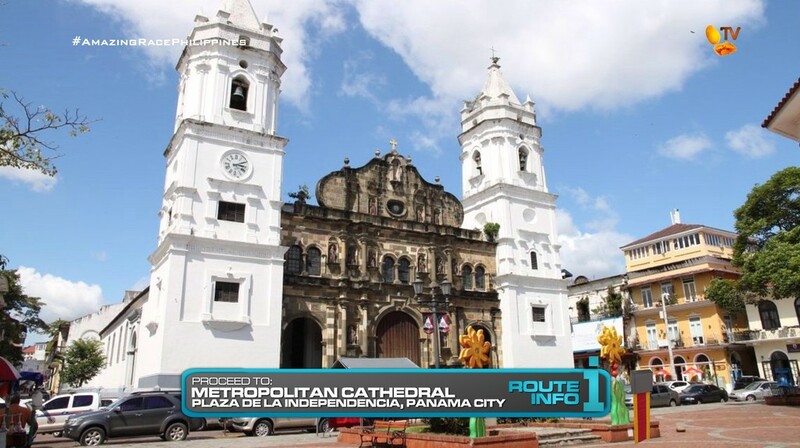 They must make their way to the Metropolitan Cathedral of Panama. 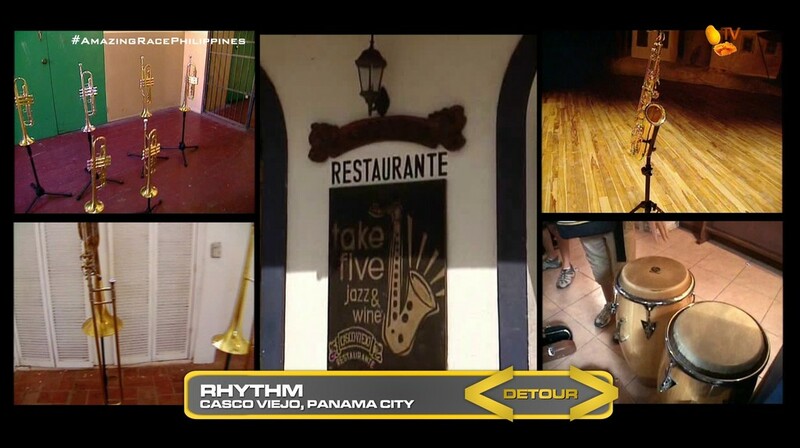 In Rhythm, teams must travel to Casco Viejo and visit four locations to collect four musical instruments: a saxophone (at Teatro Nacional de Panama), a trumpet (at Escuela Simon Bolivar), a conga drum (at Casa Gongora) and a trombone (at Instituto Nacional de Cultura). Once they have all the instruments, they must then deliver them on foot to Take Five Jazz and Wine where the band will play a short song with the instruments before the bandleader will hand them their next clue. In Sole, teams will travel to Salsipuedes Market. They must find the sandals stall and use one piece of leather each to make the sole and strapping for a pair of sandals for a waiting customer. Once the cobbler and customer are pleased with their work, they will be given the next clue. Teams must now find the Former YMCA Building along Calle Balboa. Converted into a Folk Arts and Crafts Market, teams will find the Road Block: Who can spot the molas? 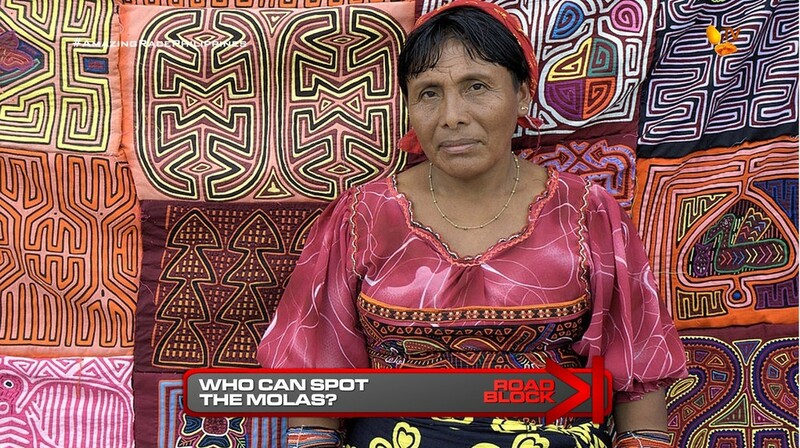 For this Road Block, teams will choose a mola, a design used in traditional Kuna blouses. They must then search the market for a woman wearing a blouse matching their chosen panel. If they’ve found the correct woman, they will be given the next clue. 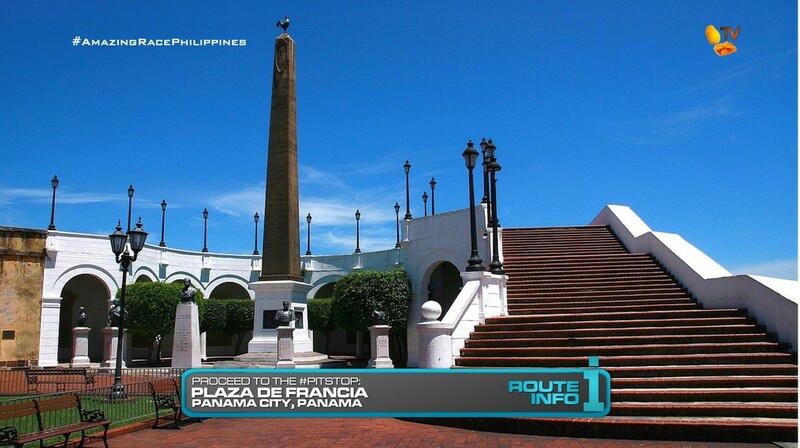 And that clue directs teams to the Pit Stop for this Leg of the Race, Plaza de Francia. The first team to check-in here will win P200,000 courtesy of Shell V-Power Nitro +. More recycling! Hehe. The first 2/3 of the Leg borrows from TAR8 and TAR19. And of course, with an Intersection, a Rewind is in order. #DramaPaMore Hehe. The Road Block is new. (Woohoo!) But definitely a typical TAR task. You should always have a couple of “search” tasks on a Race.